The Department of Culture and Tourism - Abu Dhabi has embarked on a four-city roadshow to India along with partners and stakeholders to help promote the emirate and entice even more Indian visitors, a report said. The delegation, which includes representatives from Rotana Hotels, Yas Experience, Royal Arabian Destination Management, Royal Rose Hotels, and Etihad Airways, among others, is visiting India from March 16 to 23, said a report in WAM. The roadshow kicked-off in Chandigarh in northern India and will move on to Ahmedabad and Mumbai before ending in Pune. Last year more than 360,000 Indians stayed in Abu Dhabi’s 162 hotels and hotel apartments, an increase of more than 11 per cent compared to the previous year. India is currently the emirate’s second largest international source market behind China, it said. Mubarak Al Nuaimi, director promotions and overseas offices at DCT Abu Dhabi, said: "India is a vital tier one source market which is providing more and more hotel guests for us each year and helped us reach a record of more than 4.9 million numbers of guests last year. In 2017 we recorded spectacular double-digit growth from India and we are already recording further progress from the Indian market since the turn of the year. "We see great potential from this sector and are now running a succession of roadshows to cities across India highlighting the emirate and its attractions as we seek to capitalise on this uplift. We have excellent air connectivity, with 282 flights a week to Abu Dhabi from 13 Indian destinations, meaning it has never been easier to come and visit the emirate." 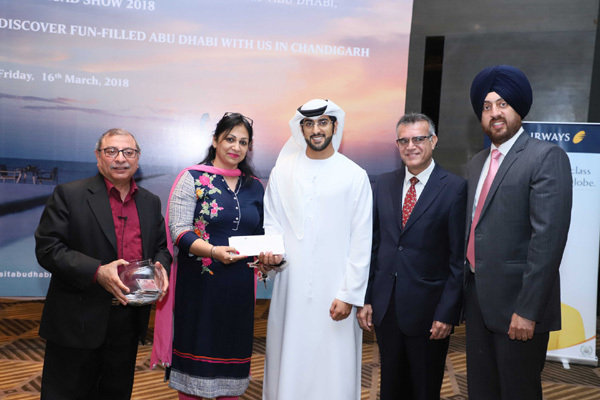 Earlier this year, the department led a consumer-focused 'Abu Dhabi Week in India' initiative to Kochi and Kolkata following a similar event in Delhi and Mumbai in November 2017.